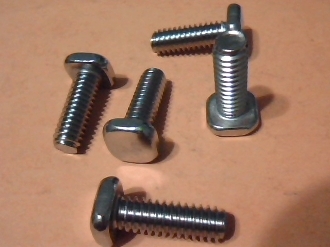 Track Bolts, Stainless Steel, Square Head, 1/4-20 Thread, will not rust. Head is 1/2″ Square. Used on Studless Track systems for Storm Panels, these will slide across the track into position, and removed to leave the track in place. Choose Total Pieces desired.